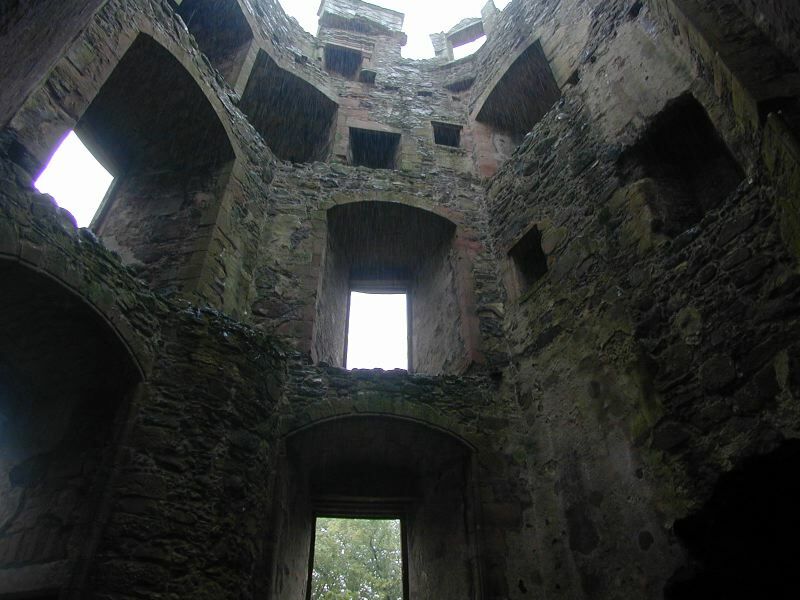 The remains of the countess' tower at Huntly Castle. There were wooden timbers spanning the central region supporting floors, but of course they've all rotted away by now. The rain was coming down pretty hard at this point.